Oh lol ok then in that case, will it be big enough for my tank? of course, its rated up to a 50 gallon I think. my pump is set at less than 40% power lol. I personally opted for an MP10 and very much like it so far, but there are many viable options. 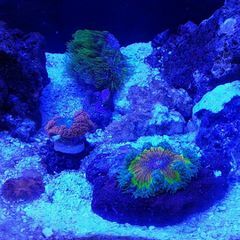 One thing to consider when choosing a powerhead is that you may want a model that can be fitted with a guard or basket if you plan on eventually keeping anemones. 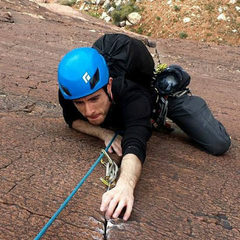 The guard fits over the powerhead and prevents 'nems and other vulnerable invertebrates from being inadvertently sucked into the pump and pureed by the impeller. You can also just get the pump you like and figure out a way to DIY a nem basket for it later. Going on day three of my leather coral all closed up. I accidentally knocked it over and then grabbed the fleshy part of the coral when I was putting it back. I expected it to stay shut for awhile, but is 3 days normal? Is there anything I should do to make it happy or just ignore it? Ignore it. They can be moody. 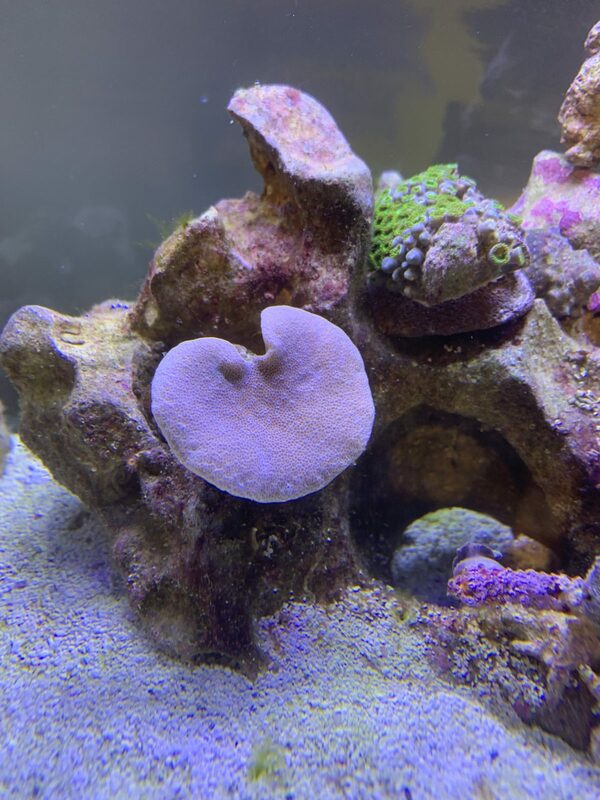 Leather coral is finally opening back up. What a cranky coral. Aside from that, all is well, the emerald crab and hermits are making good progress on the algae. My leather is still closed from when I moved it....it was a month maybe more ago lol. Glad you started a tank thread - looks like everything is off to a good start! I’m so glad I started it, thanks for the suggestion! 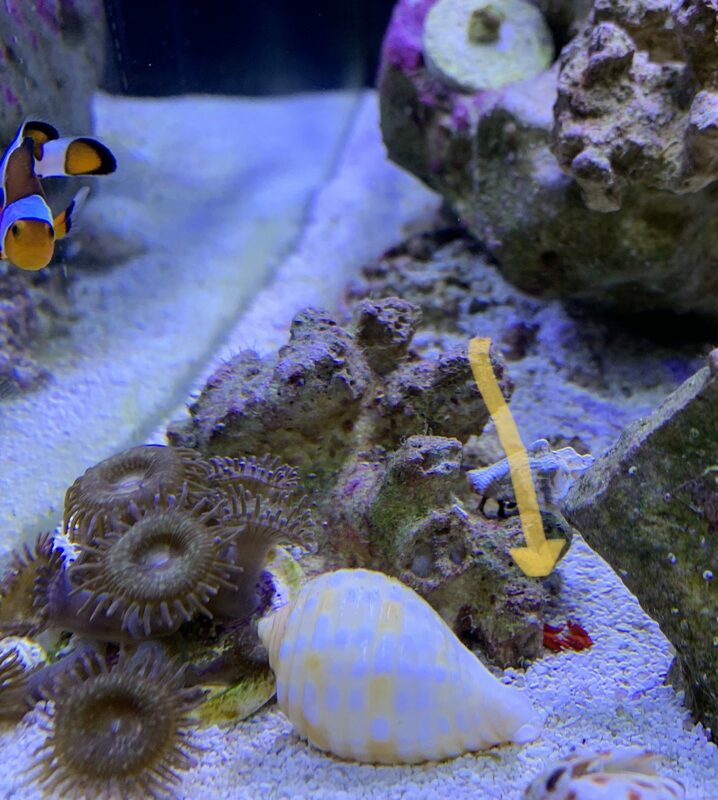 Guys I want to get another clownfish (another tiny one).. Am I overstocking? I figure I am, but what’s the worst that happens? If the fish start fighting, my LFS offered to take back a few for store credit. I will keep on top of water changes. What else can go wrong? When the fish grow I’ll trade them or more likely upsize my tank. If it were me, I probably wouldn't go past two or three fish in a 13.5g tank, but I am a notorious understocker. I think it might not be the worst thing to try out another clown, as long as you are confident that a fourth fish won't throw your parameters out of line and you have a plan to rehome it if things go south. You also are running a protein skimmer, so that allows you to cheat a bit with your bioload. Just be careful not to make too many changes in a short period of time. 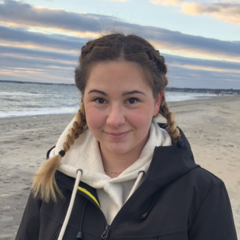 Should my main concern be aggression issues? Or something else? Unclear what happened here, but I think my poor scarlet hermit lost her claws. That or perhaps she molted? She’s been staring at the corner of my tank for a few days, and I just noticed a tiny set of red claws in my tank. She’s the only thing in my tank that is this color red. When I look closer, it seems like she is indeed missing her claws. Poor lady. Aggression is certainly an issue, as clowns sometimes bully each other when first introduced - especially if one is larger than the other or if one clown has been in the tank for awhile and then a new one shows up. For this reason many aquarists that are planning on keeping a pair of clowns like to add them at the same time. That being said, it's not guaranteed that your clowns will be in deathmatch mode right off the bat, but it's definitely a possibility you should be aware of. Also there is just the general concern of increasing bioload in such a small volume of water. In tiny nano tanks every change we make - from adding new livestock to simply stirring up the sandbed - can have a profound effect on water chemistry. Fish have a particularly large impact, as they have much faster metabolisms than most invertebrates and tend to produce a lot of waste. Looks to me like that hermit still has her claws! She should have six total appendages sticking out of her shell - two claws in the middle and two legs on each side (and four more legs in back, which she uses to grip the shell, but those you of course can't see). I think those lost ones are more than likely a molt. Crabs often become less active or hide themselves away for a few days after molting, since they have to wait for their new exoskeleton to harden up before they can do anything strenuous. I took a closer look and you’re totally right! I’m relieved, I was feeling so bad for her. Its funny how attached I am to every little critter in this tank, even my micro brittle stars. I imagine in a huge tank I would loose interest in the tiny critters but in such a small tank, it’s easy for me to keep an eye on everyone! 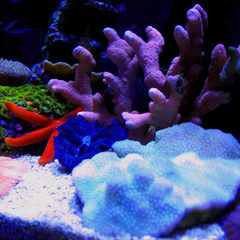 Ordered two new corals, they’ll be arriving tomorrow! I’m a bit nervous for the Green Tip Pink Birdsnest Coral, as live aquaria rate caring for it “moderate” and I’m still a beginner. It’s my first SPS coral and I figure there’s a decent chance I may kill it, but I’m gonna try my best. Adding it on to my order from live aquaria qualified me for free shipping and so I only paid like $5 or $6 for it (plus the cost of shipping that I saved). 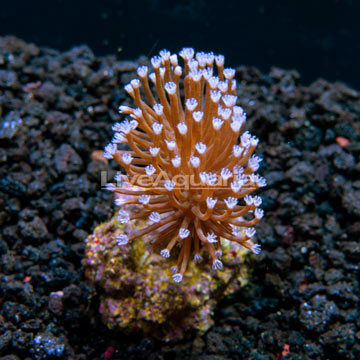 The reason I placed the order was for the Biota Cultured Weeping Willow Toadstool Leather Coral. I’m very excited for it to arrive. 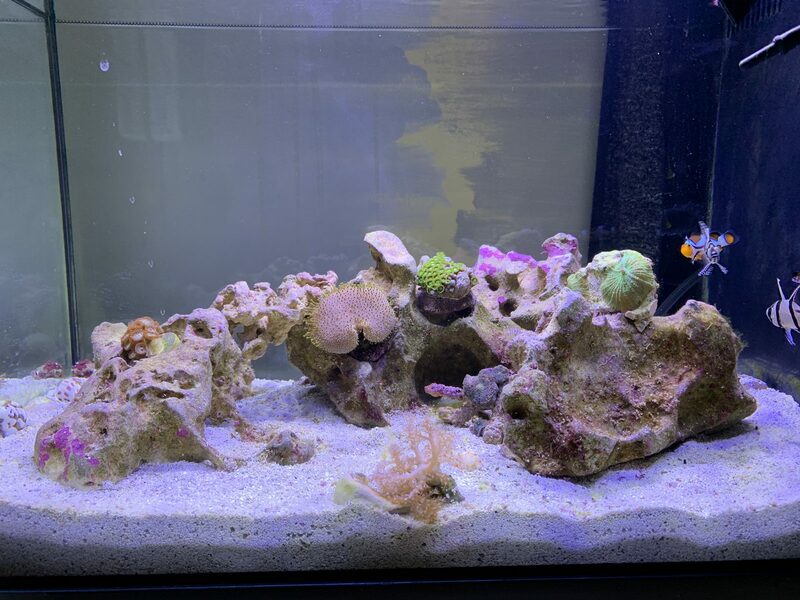 The other tank update is that my clownfish starting flashing last night... I’m worried he’s got parasites, but he starting flashing right after I did a water change and changed my carbon filter... so I’m hoping he just didn’t like something in the water. I gave him a freshwater dip, probably too little too late, but it made me feel better to be doing something. I’ll post an update sometime soon. 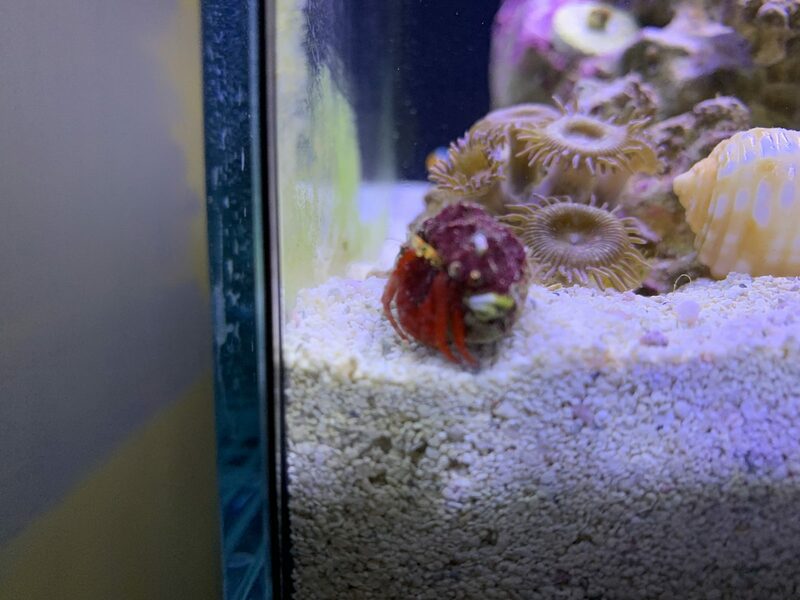 I really hope I don’t have to treat him, since I don’t have any other tank to use for a long term treatment/holding space. 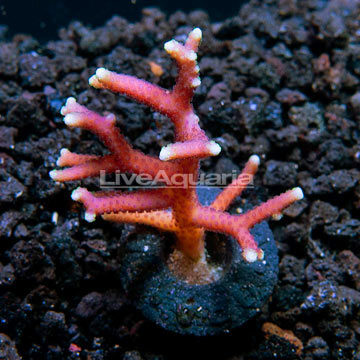 If anyone reading this has advice regarding the pink birds nest coral (or general SPS coral advice) I would love love love to hear from you!